Head off guts out - these are straight off the live boat fresh and ready for you to take home and process. Not so great at filleting off the frame? We will do this for you free of charge. Then you can take home the whole fillets and frame and package how you want. The worlds premium white fish fresh from our local B.C. waters white fish. Firm, mild, with a delicately sweet flavor. These versatile fillets are excellent barbecued or broiled, baked, stuffed or fried. 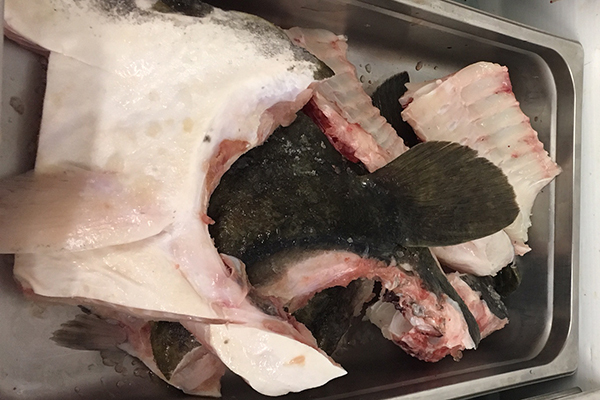 Halibut season runs from mid march to mid-November. Boneless, extremely tender and moist, these yummy pieces of goodness come from the head of the fish and are considered a delicacy. They have a firm texture and are sometimes compared to sea scallops. Delicious pan-fried! These are available during fresh season for you to take home and make your own stock. 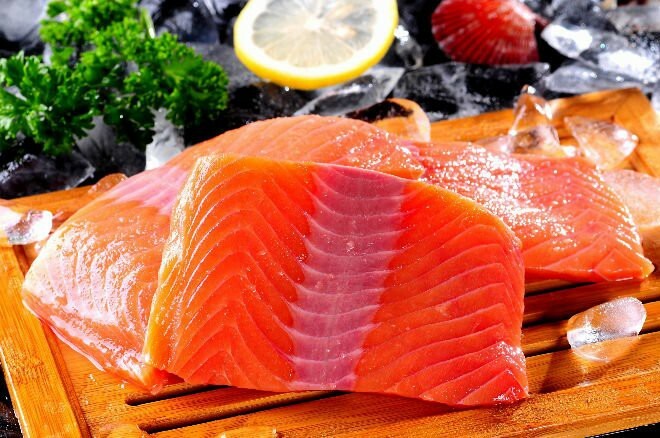 Coho has a firm texture & red flesh. Richer flavour than pinks or chum but milder than sockeye or springs. This flaky, oily salmon is truly the king of the sea. Bake it, grill it, broil it... It doesn't get much better than this. White Springs are identical to other spring salmon in appearance, however the flesh is a pearly white and very flavorful. Extremely high in Omega 3 oils, the flesh is very mild and very delicate. Unlike any salmon you have ever had. White springs run from ivory fleshed to pink. Blackcod also known as Sablefish, is a fresh and local delicacy. The fillets are flaky and delicate with a silky buttery texture and have a high oil content great for Omega 3's. Poached, done on BBQ or baked are a few of the best ways to prepare this. One of the largest in the cod family on the west coast, Ling Cod is more buttery than grey/true Cod but firmer in texture. 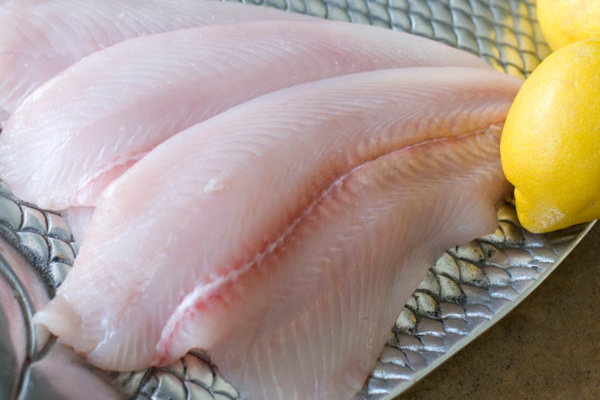 It's a mild, flaky white fish that you can bake, broil or fry. Great for fish tacos or fish and chips. Delicate mild tasting fish whose meat is sweet with a tender flake medium in texture. A delicate white fish great on its own or stuffed .Sweet and mild taste. Perfect for use in sushi, as sashimi, lightly grilled on the BBQ or in your favourite fish recipe, our albacore tuna loins are as delicious and wholesome as they are convenient. The loins are skinned, deboned and vacuum-packed while still frozen. This ensures you enjoy the freshest fish possible. These little morsels are the tips and tails trimmings off the halibut fillets. Perfect for your fish and chips or fish tacos. Since most chum salmon spawns near river mouths, they have lower oil content than sockeye. Chum salmon has a mild taste, is low in sodium, and is a good source of Omega-3 fatty acids. Sockeye Salmon is the leanest in the salmon family and is prized for its deep red colour, firm texture and rich flavour. We have salmon steaks and whole fish available in all types when fresh in store during species run openings. 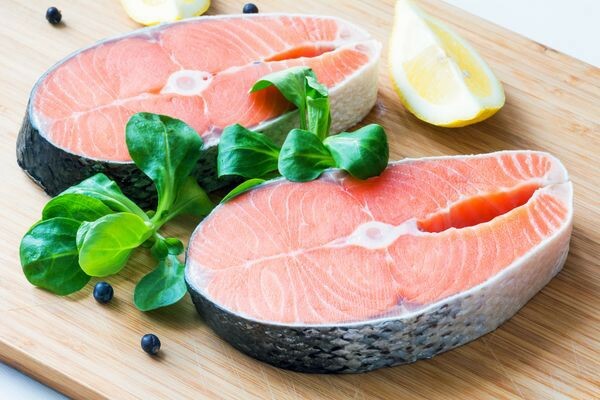 These Lois Lake Steelhead are farmed in the deep, cold, clean waters of Lois Lake, British Columbia, and raised on sustainable feed, without antibiotics hormones or dyes. Smaller than a ling cod and softer in texture. 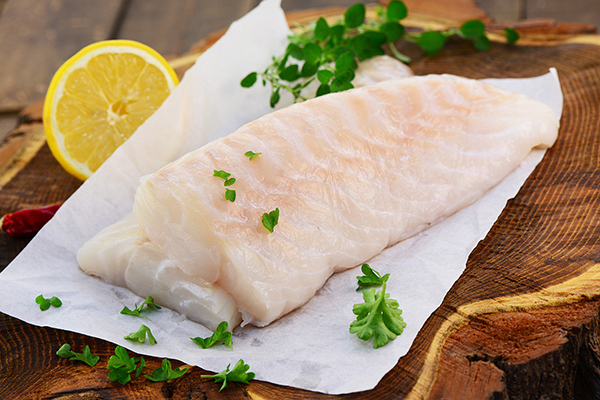 Greycod is a lean flaky-white meat fish with a mild and sweet-flavored taste. Commonly known as Pacific Snapper. Rockfish is one of the most popular fish on the west coast, because of its light and firm, yet flaky texture and mild taste. Extremely versatile. A local's favorite Petrale is the firmest and largest of all soles and extremely mild and sweet, with a white flaky tender meat that rivals none. Petrale Sole can be cooked various ways including grilled, broiled, baked, poached, and sauteed. If you're looking for the freshest-never frozen Ahi, otherwise known as "Yellowfin Tuna" is flown in overnight from Hawaii. Premier choice for sushi lovers. 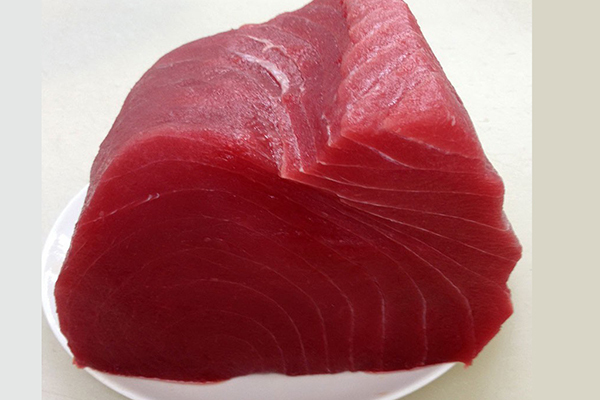 Among the largest in the tuna species, its purplish flesh is blood line removed and center cut. Ahi's sweet meat is great seared and left rare on the inside, or grilled.